A CNBC report says US lumber producers are scrambling to expand production in Maine; Zacks says the outlook for wood products is strong; and tariffs on Canadian lumber are hitting some NY builders harder than others. In related news: US Senator Roger Wicker (R-Mass) joins members from both sides of the aisle testifying against newsprint tariffs. In Wood Products news, more on why Portland’s Framework Tower has been cancelled; a setback for tall wood according to Lloyd Alter; but a step forward for wood innovation according to Cees de Jager. Elsewhere, the red forest encroaches on Jasper; a new tree-destroying bug threatens New Jersey; and rat removal is a positive for tropical atoll forests. Finally, whereas a stick or devining rod may help you find water, tree size is being used by Australian prospectors to find gold! 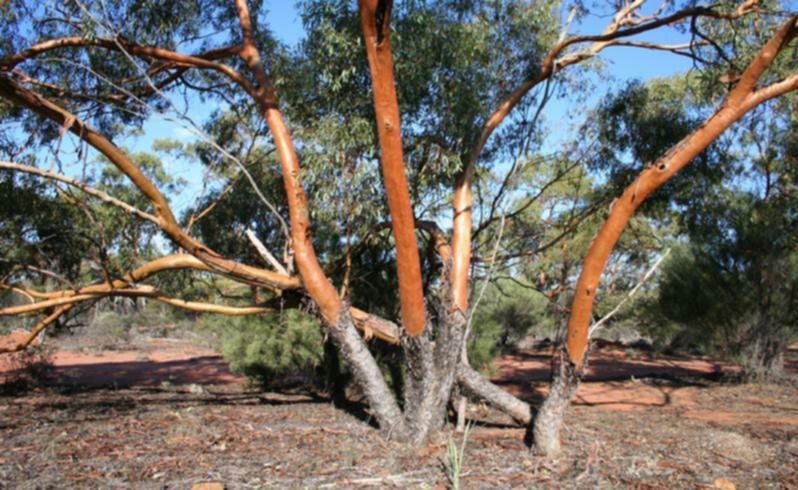 Classic Minerals and Australia’s federal scientific research outfit CSIRO have teamed up to study the potential correlation of tree size to gold mineralisation at Classic’s Forrestania Gold Project in Western Australia. The company said that in 2017, it had noticed a correlation between tree size and gold mineralisation at the project in the Goldfields region. Major deposits and prospects such as Lady Magdalene and Lady Ada were covered by large gum trees while barren areas were covered by typical Yilgarn shrubs and bush. …If proven to work, it will allow Classic to rapidly generate new targets without ground disturbing exploration. The project could help guide the company with geochemical sampling and geochemical data interpretation on the surface. …Whilst somewhat unusual, this is not the first time that trees have been thought to be a potential indicator of gold mineralisation. ROCHESTER, N.Y. – President Trump’s 20% tariffs imposed on Canadian lumber back in January are hitting close to home. For home-owners and home-buyers, the tariffs mean much more in material costs. Pat Clancy at Morse Lumber says lumber prices are actually off the charts, the graph showing historical prices in their office just didn’t have enough vertical room for where prices have landed. …Contractors like Joe Sortino are feeling it too. 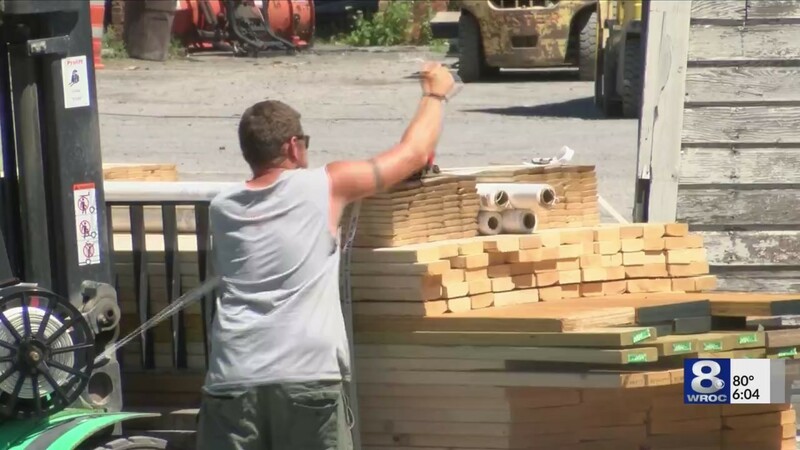 He says the lumber used to build the house he’s currently working on would have cost $32,000 last year, but because of those tariffs it’s now $40,000. …Partly in jest, Sortino added he didn’t know if he’d be in business in five years if prices stay this way. It’s not just lumber. Higher lumber prices and robust demand from the U.S. homebuilding market have been driving the industry of late. A major factor pushing up lumber prices recently is the imposition of U.S. import duties on Canadian lumber. …Despite the increase in prices, demand remains unaffected, given the increased level of construction activity in United States. Notably, wood and wood products are a major input in construction activity. Construction spending in the United States has increased lately supported by a steady increase in outlays on private as well as public construction projects. Though myriad problems have been denting the homebuilding industry of late, the larger picture is convincingly strong. …The industry also stands to benefit from increased government spending, particularly on infrastructure projects. In the woods of central Maine, trees are gaining value by the minute, and lumber producers aren’t waiting a second. They are scrambling to expand production, build new facilities and hire more workers. Lumber prices soared over sixty percent since early 2017, thanks to a perfect storm that hit Canadian supply. …It all adds up to opportunity in the eyes of Jason Brochu, co-president of Pleasant River Lumber, which operates two mills in Maine, employing 300 workers. “I think with the duties that are in place, that’s given us a level of confidence that we didn’t have before,” said Brochu. The plan, he said, is to invest $20 million in the company over the next two years, increase production by 50 percent and add up to 40 new jobs. Members of Congress from both sides of the aisle are increasingly working on finding relief for the newspaper industry, which has been hit hard by tariffs imposed on Canadian groundwood paper imports by the Trump administration. This morning, 16 congressional lawmakers will testify against the levies during the final phase hearing before the International Trade Commission. 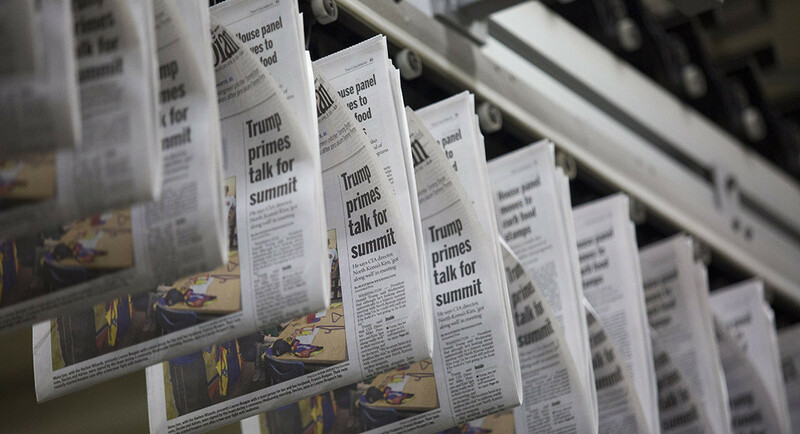 For months, the newspaper industry has felt the harsh effects of recently enacted tariffs, which it says has resulted in an increase in newsprint costs of about 30 percent. …In the meantime, however, the cost cuts and downsizing at newspapers have continued. The Madison Press, which serves readers in Ohio, announced last week it would stop publishing a paper edition. 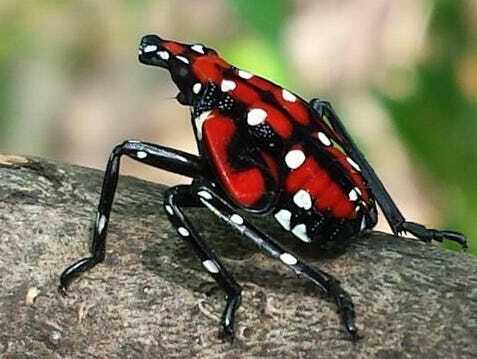 WASHINGTON – U.S. Senator Roger Wicker, R-Miss., testified in front of the U.S. International Trade Commission in opposition to tariffs on imports of newsprint from Canada. The new tariffs threaten domestic newsprint producers, including those with operations in Mississippi, and would hurt the local newspapers that purchase newsprint from them. …Resolute Forest Products in Grenada, Mississippi, is one of five mills in the United States that produces… newsprint. The mill employs over 160 workers, and supports an additional 500 jobs in the community. The Mississippi Press Association, and the 110 newspapers they represent, also oppose newsprint tariffs. Both the Vicksburg Post and the Natchez Democrat have cut production to five days per week because of preliminary tariffs. Wood Pellet Association of Canada (WPAC) visited the United Kingdom April 16 to 20. We attended two meetings with the UK government, we participated in the annual Argus Biomass 2018 conference, and a group of WPAC members visited Drax Power Station at Selby and Associated British Ports at Immingham. Immingham is one of four UK ports where Canadian wood pellets are unloaded on their way to Drax. The others are the Ports of Tyne, Hull, and Liverpool. On April 16, I, together with Wendy Vasbinder, senior trade policy advisor at Natural Resources Canada and Rachel Soares, trade commissioner at the High Commission of Canada to the UK, attended meetings with the UK Department of Business, Energy, and Industrial Strategy, and with the UK Committee on Climate Change. In both meetings our objective was to emphasize the importance of Canada-UK pellet trade and to share information regarding Canadian sustainable forest management. 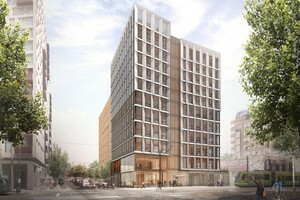 Framework, the 12-story tall wood building planned for Portland’s Pearl District, has announced that the project has been placed on hold for the foreseeable future. Initiated in 2014 with support from the Softwood Lumber Board, Framework is a pioneering mixed-use project that pushed the boundaries of resilient and sustainable innovation in the U.S. construction market. According to Framework officials, the postponement is a result of changing market conditions over the past two years including inflation, escalating construction costs, and fluctuations in the tax credit market. All have impacted the project’s bottom line. 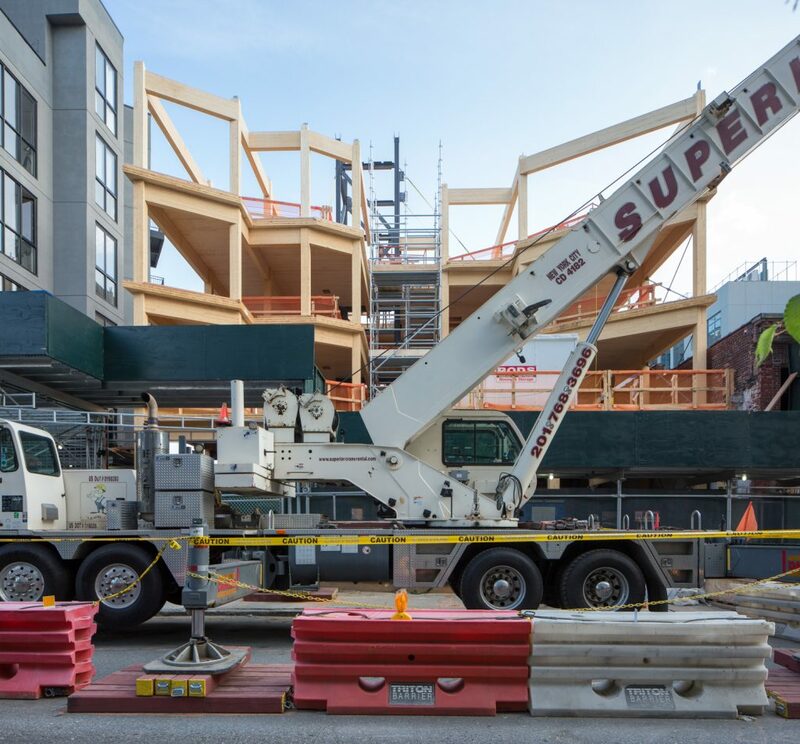 …“The innovations in wood construction that are part of the design of the Framework building will help change how America builds in the years to come,” noted Cees de Jager, the Softwood Lumber Board’s Chief Marketing Officer. “…Modern wood-based building systems create opportunities grow markets for softwood lumber which in turn supports jobs in rural communities,” he elaborated. The Framework Tower in Portland, one of the most interesting tall wood projects on the boards, has been cancelled due to “financial considerations.” …There are lots of crazy changing market conditions happening right now. …CLT is still new and expensive, and between tax cuts that lit a fire under the economy and tariffs that lit a fire under material prices, it is a tough time to try and build non-profit housing for a fixed price. …But really, this is a huge setback for tall wood in North America. There were so many attributes to admire in this project — the way it was promoting the local timber, increasing density, sequestering carbon, and helping create an entire new industry around cross-laminated timber. What a shame. The redevelopment of Williamsburg from industrial wasteland to residential enclave has been a slow and relentless process, and this is particularly true around Metropolitan and Union Avenues. Permits were first filed for construction of 80 Ainslie Street in June of 2015, and now, the building’s timber frame is coming into view. Syndicate Architecture is responsible for the design. Concern about the safety of cross-laminated timber in the instance of a fire is persistent. …But many in the industry are adamant that technological innovations have limited the safety issues. Thomas Robinson, head of Portland-based Lever Architecture, spoke to that concern with CBS News, citing a test performed on the material, requiring it to survive two hours inside a furnace burning at 2,000 degrees. This year’s Maine Mass Timber Design Competition is intended to generate design ideas and test implementation of an emerging technology that hold specific promise for the state economy. Maine Huts & Trails maintains a network of backcountry trails and remote wilderness lodges woven through the woods and mountains of western Maine. The goal of this year’s competition is to study and develop a design concepts for a new hut on a established backcountry site, as well as to explore the implementation of mass timber construction technologies in a remote location. Flexible plastic and corrugated paperboard packaging supplier Rengo Co., Ltd. (Osaka, Japan) has leveraged its cellulose production technology to develop a cellulose nanofiber (CNF) via an intermediate material. …Typically made by “microfiberizing” the cellulose contained in wood cellulose fiber to the nanometer level using chemical or mechanical processes, CNF is said to have one fifth the weight of steel but five times its strength. On the downside, however, production costs remain high. …Targets of the xanthated CNF includes composite materials for automotive. The next LIGNA to be staged between May 27 and 31, 2019, and its organisers, Deutsche Messe and the German Woodworking Machinery Manufacturers’ Association (VDMA Holzbearbeitungsmaschinen), have announced that exhibitor registrations are coming in at a very pleasing pace. …One of the regular LIGNA features is the Wood Industry Summit. Just looking at the summit’s three focus themes – “Integrated Woodworking – Customized Solutions”, “Smart Surface Technologies” and “Access to Resources and Technology” – it is clear that the upcoming show will be strong on high-tech highlights and innovations. From various angles, each of the show’s display categories will explore digitization as the engine and driving force of innovation in the wood industry. Pfeiffer remarked, “Timber processing and woodworking are no longer just about standalone machines. Instead, what we have now are digitally integrated processes and systems built around machines. VICTORIA – An audit of forestry activities on seven woodlots, in the Nadina Natural Resource District, has found all seven had some type of non-compliance with the Forest and Range Practices Act and/or the Wildfire Act, according to the audit reports. “The auditors found that woodlot licensees did not meet obligations related to reforesting previously logged sites on three woodlots, and did not meet requirements for reporting their activities to government on four woodlots,” said Bruce Larson, vice-chair, Forest Practices Board. On three woodlots, the licensees did not meet requirements for preparing fire-hazard assessments, although they did abate fire hazards by piling and burning logging debris. 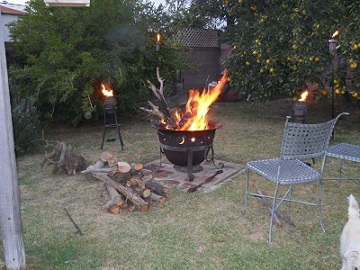 One woodlot licensee neither assessed nor abated fire hazards, and failed to meet the requirements of the Wildfire Act. …The board audited a total of 11 woodlots in the district. Reports on the results for the other four woodlots can be found on the board’s website. B.C. has banned campfires for the rest of the summer on most of Vancouver Island and on the Gulf Islands because of forecasts of high temperatures and little rain. Also banned are tiki torches, open fires burning wood debris in outdoor stoves, fireworks, burning barrels, exploding targets used for rifle target practice, and sky lanterns made out of paper. …It covers B.C.’s Coastal Fire Centre, which stretches over western B.C. and includes Vancouver Island and the Sunshine Coast, the area up to Tweedsmuir South Provincial Park. Haida Gwaii and Vancouver Island’s fog zone are exempted from the ban. 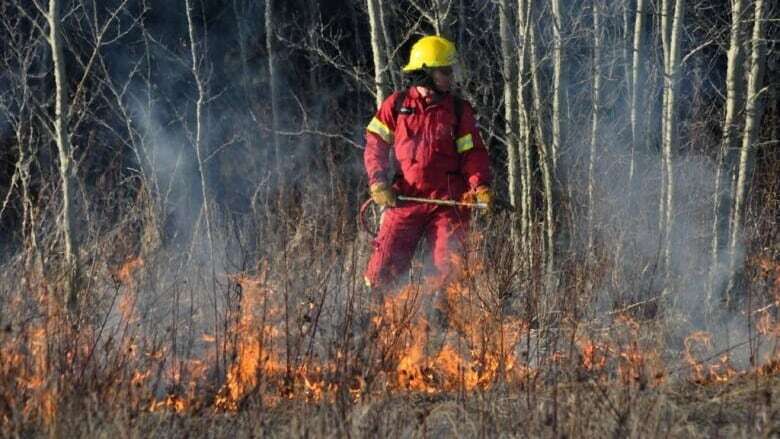 …Since the beginning of April, 69 per cent of wildfires in the coastal area have been caused by people, according to B.C.’s Ministry of Forests. Regulations banning fires cover public and private land, unless local governments have other rules. First Nations, local governments and not-for-profit organizations are reminded to get their applications for the fifth intake of the BC Rural Dividend program submitted before the July 31, 2018, deadline. Single applicants can apply for up to $100,000 for community-driven projects and must contribute at least 20% of the total project cost. Partnerships, involving an eligible applicant and at least one eligible partner, can apply for up to $500,000 and must contribute 40% of the total project cost. A project development funding stream will provide up to $10,000 to help communities build business cases and feasibility assessments that are needed to develop strong projects and support the development of future project applications. This is the only application window for 2018-19. Already this month, Jasper has seen 10 times as much rain as it did in all of July 2017. Yet fears about wildfires are growing in the mountain town, fuelled by the rusty, red colour of the surrounding forests — a visible reminder of the spreading pine beetle infestation and the area’s increasing vulnerability to a blaze. Jasper’s residents, remembering the 2016 Fort McMurray fire and last summer’s smoky haze through the Rocky Mountains from wildfires in B.C., are voicing concerns about the community’s preparedness for a major fire. “We have numerous pine beetle-attacked trees upwind of the community, which is raising concerns not just for residents, but visitors and other folks, as well,” said Greg Van Tighem, fire chief for the Municipality of Jasper. …[He] says his message to residents is they must be personally prepared for the worst — namely an evacuation. 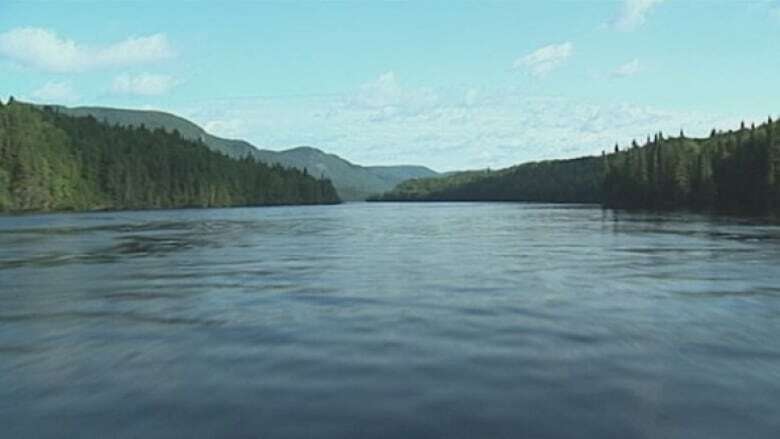 The mayor of a village in the Saguenay—Lac-Saint-Jean region is vowing to chain herself to a tree before she’ll give in to a Forestry Ministry proposal to log a forest alongside a river that townspeople hope to turn into a major tourist destination. …according to Mayor Lise Garon, [Lamarche is] in need of a new industry to keep the town afloat. “The tourism industry is our only option,” Garon told CBC News. …But in April, Garon learned of a Forestry Ministry report proposing trees be cut along a 14-kilometre stretch of the river’s edge. …Forestry Ministry spokesperson Catherine Thibeault said ministry representatives have met with their counterparts in Municipal Affairs, Lamarche’s town council and local development groups… “We respect forest capacity,” she said, which means logging will only be approved to the extent that it won’t compromise the forest’s ability to keep rejuvenating. By Kingsley Brown, Nova Scotia Landowners and Forest Fibre Producers Assoc. Nearly five months late handing in his assignment to review Nova Scotia’s much-maligned forest practices, University of King’s College president William Lahey is under no pressure to produce it, just to get it right… His panel’s report is expected to be somewhat radical, a continuum of radical advances toward modern environmentalism introduced by private landowners and implemented as “the only solution” by the province eight years ago — bottom-up, low cost, managed by forest owners, no public blowback. …Registered professional foresters may be required for all Crown management plans. Wildlife and ecology requirements may go directly to Department of Environment, now run, by some accounts, by an “Iron Minister” on environment. FSC will likely be required on all Crown lands. There may be some type of independent audit to determine if clearcutting is applied correctly. 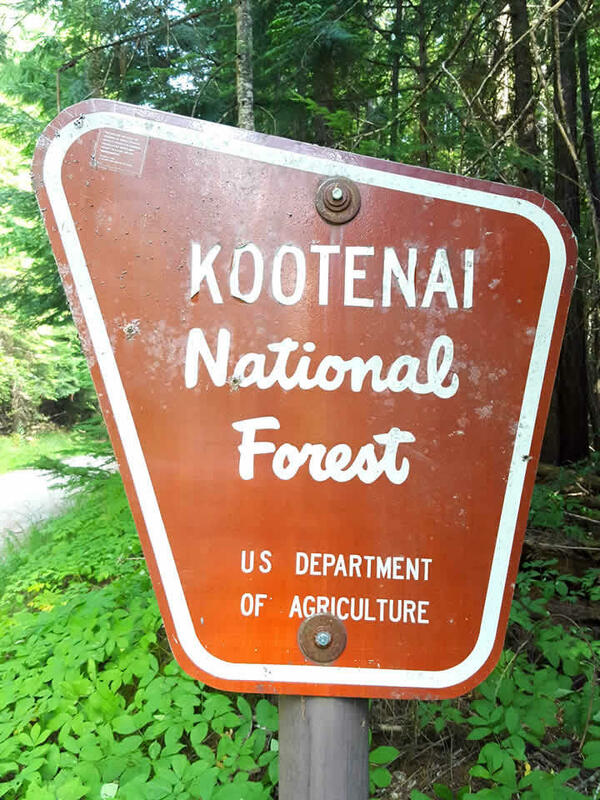 The Kootenai National Forest is slated to start five salvage timber sales in areas that burned last year, and one more is pending. The projects focus on getting rid of trees in burn zones that can pose hazards to humans and cars, and on providing more work to the local timber industry. The largest of the approved projects – Cub Creek and West Fork – were expedited through an Emergency Situation Determination. This means that the projects didn’t require the objection and response period normally instituted for timber sales of this scale. Each of these periods is about 30 days. Some conservationists think this cuts off the opportunity for valuable public input. “It accelerates the process and leads to more controversy and more mistakes,” Jeff Juel, a consultant for the Alliance for the Wild Rockies, says. Aberdeen, WA — Responding to an industry shortage of drivers, Grays Harbor College plans to launch a log truck driver program. About two years ago, several employers approached Nancy Estergard, Coordinator for Business Contract Training and Community Education, about the need for log truck drivers. The program started with a grant from Pacific Mountain Workforce Development Council with a class of four students. 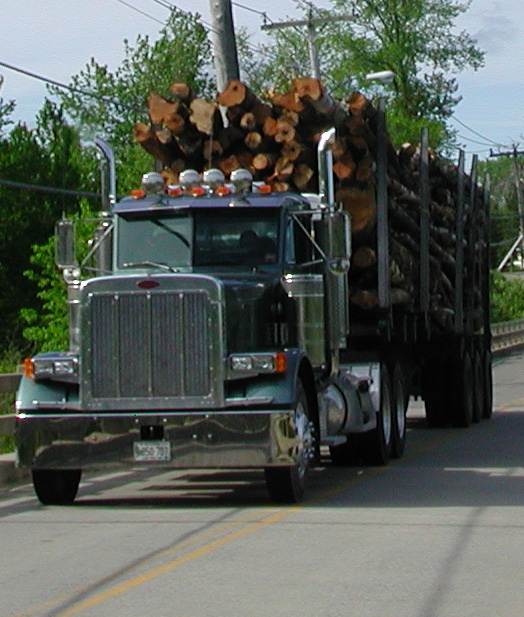 Local employers continued to ask for more consistent training to offset the retirement of existing log truck drivers and the lack of drivers entering the industry. New research published this week demonstrates dramatic positive benefits for native trees following rat removal at Palmyra Atoll, a magnificent National Wildlife Refuge and natural research laboratory located about 1000 miles south of Hawaii. In one of only a few studies of its kind, scientists measured the effects of rat removal on the tropical Pisonia grandis forest at Palmyra Atoll, which provides critical seabird nesting habitat. Before removal, no seedlings of native Pisonia grandis trees were found in research plots. Immediately following removal of invasive rats, seedlings proliferated and plots had an average of 8 seedlings per square meter. …Prior to removal, invasive rats devoured native seeds and seedlings, as well as seabird eggs and chicks, at Palmyra Atoll. Removing the rats allowed seabirds to flourish… When seabirds perch in the trees, they provide nutrients to the soil below through guano droppings. The 24th session of COFO and the 6th World Forest Week will explore the contributions that forests can make to the achievement of the Sustainable Development Goals. Head of Iran’s Forests, Range, and Watershed Management Organization Khalil Aqaei, heading the Iranian delegation, has explained that over the course of the event Iranian officials are scheduled to meet with FAO officials and discuss issues related to fighting forest pests and tree diseases as well as efforts needed to be exerted to combat desertification. Mentioning the fact that some 14 million hectares of Iran is covered with forests, Aqaei explained that schemes to protect and restore forest are high on agenda. …Unfortunately time is running out for the world’s forests, whose total area is shrinking by the day, warns a new FAO report urging governments to foster an all-inclusive approach to benefit both trees and those who rely on them. Fire crews around the Okanagan and Similkameen are responding to dozens of fires and wildfires caused by a lightning strikes earlier this evening. B.C. Wildfire Service reports ground crews, helicopters and air tankers are responding to 13 new wildfires in the North, Central and South Okanagan and Simikameen this evening, July 17, assisted in some spots by municipal fire crews. At this time there are no known threats to structures, Wildfire says. New fires have been reported in McCulloch Mountain area south of Joe Rich and in the Keremeos/Ashnola area. 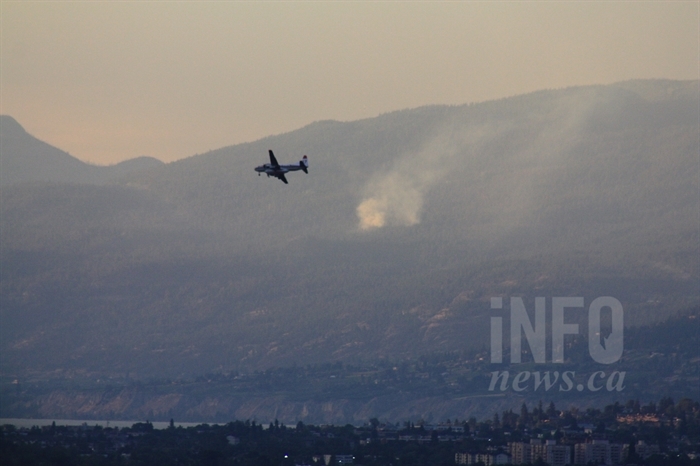 We can confirm fires burning near Glenrosa and Smith Creek in West Kelowna and others near Naramata and Summerland. Others are reporting fires near Big White and another near Keremeos. Oregon Department of Forestry crews worked throughout the night to contain a dozen fires still burning from Sunday’s lightning storm, including a stubborn 100-acre blaze about 17 miles north of Rogue River. Six to seven fires are burning in the area, sending smoke visible from Wimer. The Oregon Department of Forestry said in its most recent update that “countless aerial resources were dedicated to this incident until sundown” Tuesday. The fire grew rapidly in the triple-digit heat, the update said. All 65 fires burning in the Wagner Creek and Garner Complex total about 460 acres and are 30 percent contained, the update said. No structures have been destroyed or are currently threatened, and no injuries have been reported. 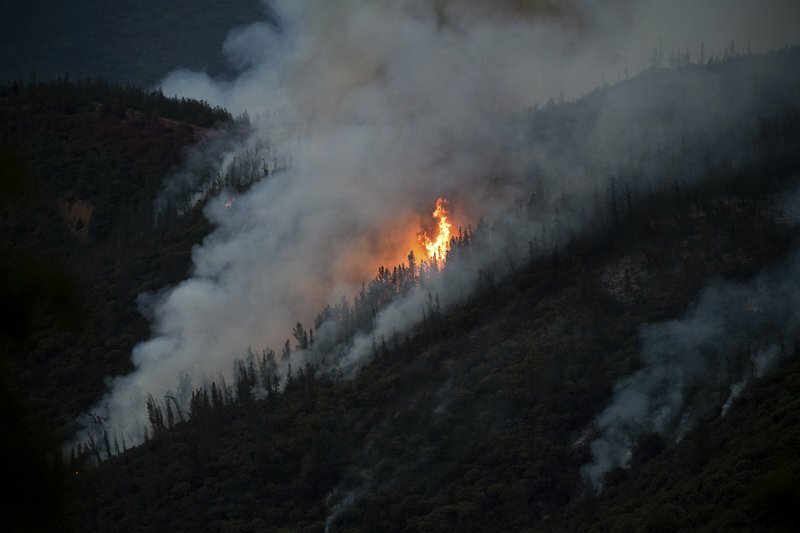 MARIPOSA, Calif. — Hot and dry weather on Tuesday hindered efforts to slow the growth of a forest fire near Yosemite National Park that killed a California firefighter last weekend, leading some tourists to cut short their visits although all park trails remained open. The blaze roaring through dry brush and timber between the town of Mariposa and Yosemite National Park has scorched more than 19 square miles in steep terrain on the park’s western edge, the U.S. Forest Service said. More than 1,400 firefighters were battling the flames threatening more than 100 homes and businesses, the Forest Service said. It’s just 5 percent contained. An inversion layer trapped smoke in the area, limiting air attacks and leading officials to issue a hazardous air alert, saying people with health conditions should stay indoors. MARIPOSA, Calif. — California workplace safety officials are investigating the death of a firefighter who was killed while battling a wildfire near Yosemite National Park. California Division of Occupational Safety and Health spokesman Frank Polizzi said Monday an inspector went to the scene on the day Braden Varney died. Polizzi said his office was told that Varney’s bulldozer rolled over on Saturday while he was trying to create a fire line. The investigation will look at whether there were any violations related to Varney’s training or the maintenance of the bulldozer. The 36-year-old Varney was married and had two young children. He had worked for the California Department of Forestry and Fire Protection for 10 years. FIRST Union is deeply saddened by the death of Shannon David Omlo of Tapawera in a forestry accident near Nelson yesterday. FIRST Union extends its condolences to the family and friends of Shannon. Our statement below does not comment on this death but answers media enquiries to FIRST Union on the more general issue of health and safety in the forestry industry and the recent rise in forestry deaths. The work that Helen Kelly led in the forestry industry until her death has been taken up by FIRST Union which, through its President Robert Reid, sits on the Forestry Industry Safety Council. One aspect of Helen Kelly’s legacy, and shared by authors of the 2014 Independent Forestry Safety Review, that has not yet been adequately addressed by the Forestry Industry Safety Council (FISC) is the need for genuine worker health and safety participation systems.